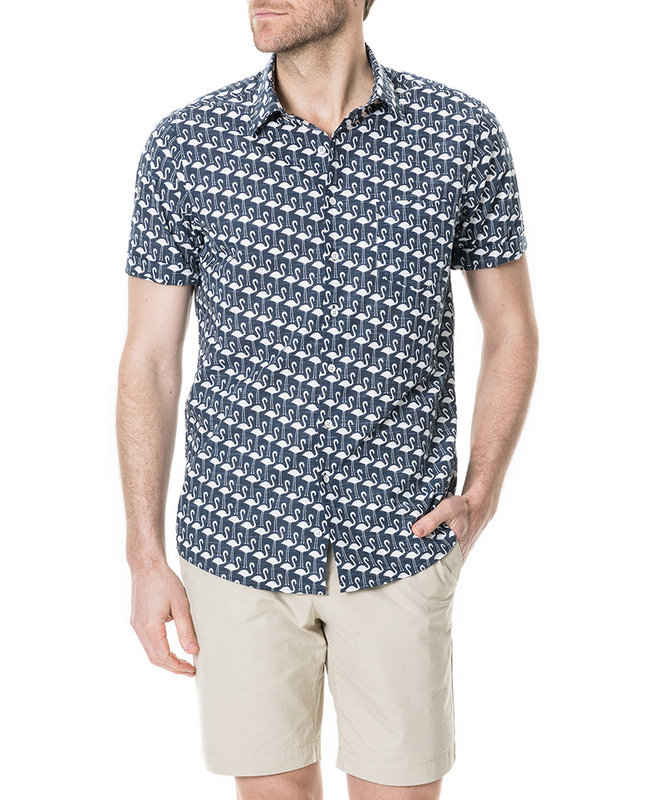 Flamingo print short-sleeve shirt, in a light cotton poplin. 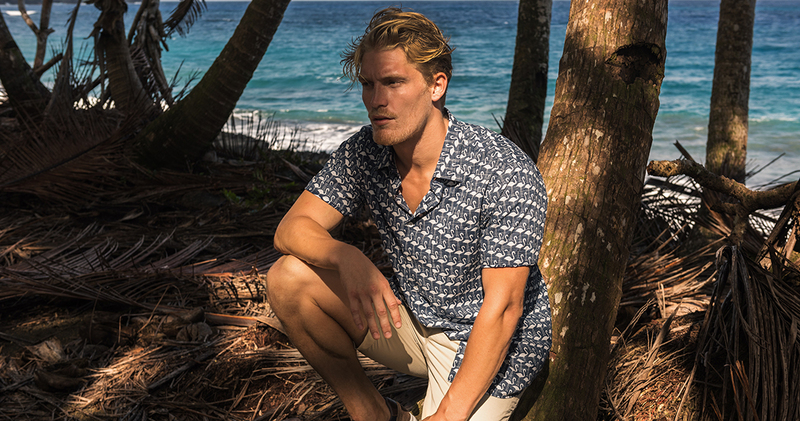 The Italian fabric features a slubbed cotton and print on the underside of the fabric which lends the shirt a vintage edge. Milled from Californian grown Supima cotton, which has an ultra-smooth handle Accented with vintage metal buttons and washed for softness.